WHAT DOES IT TALK ABOUT? HEAR YOURSELF SAYING, “ONE DAY” OR “DAY ONE”! 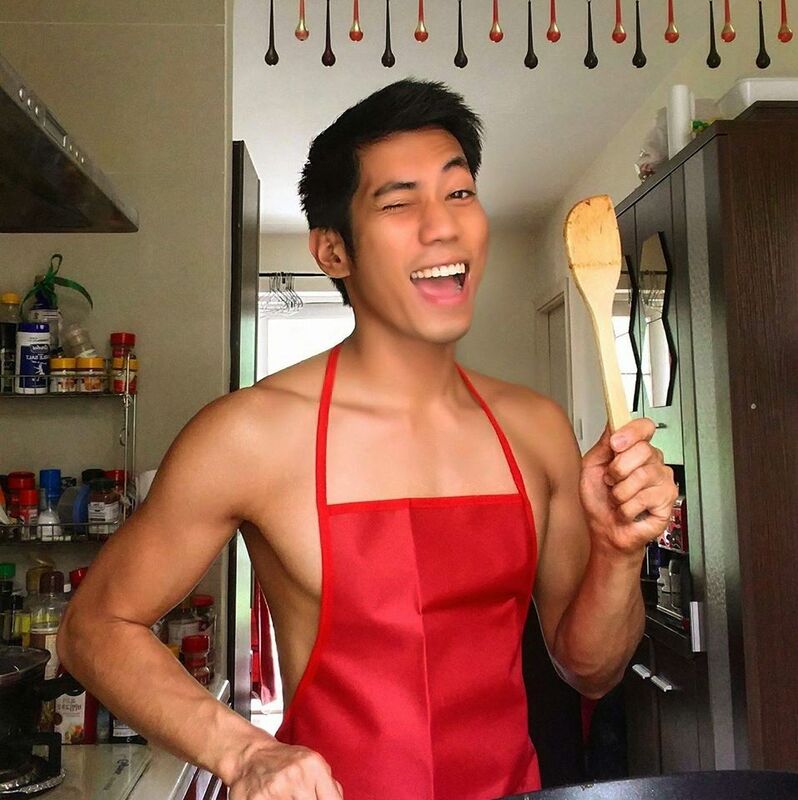 Would you want to land a job where the only need to get in is your most natural smile whilst cooking on the side? This is the dream job Fiel would want to give out once his restaurant becomes ready. For now, he is continuously creating what could bring this restaurant into the limelight, the unique menu. Let’s see what’s Cooking with FIEL-ings got! As a frugal mom, working as a parade dancer, I strive to eat healthy foods to keep up with the physical demands at work and at home. With this in mind, I want to see to it that what I spend money on is worth every penny. At the same time, I get to indulge on something that I wouldn’t feel guilty after and for it to be satisfying over all. There’s a salad bar at work and there’s a variety of choice but there’s no doubt that 10 years kind of creeps in and I consistently crave for something new. 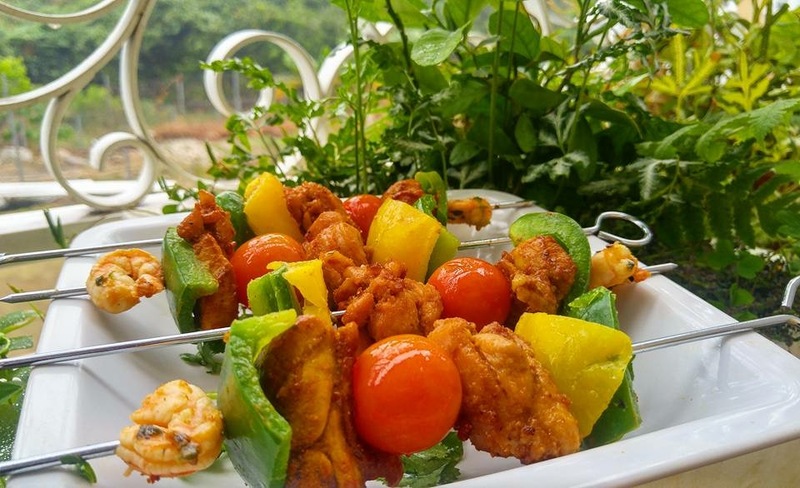 Fried Chicken bite pieces and Shrimp Kebab put together with fresh colourful bell peppers and scrumptious cherry tomatoes. More of the healthy Chia Seeds breakfast in jars with their respective healthy fruit leaders. 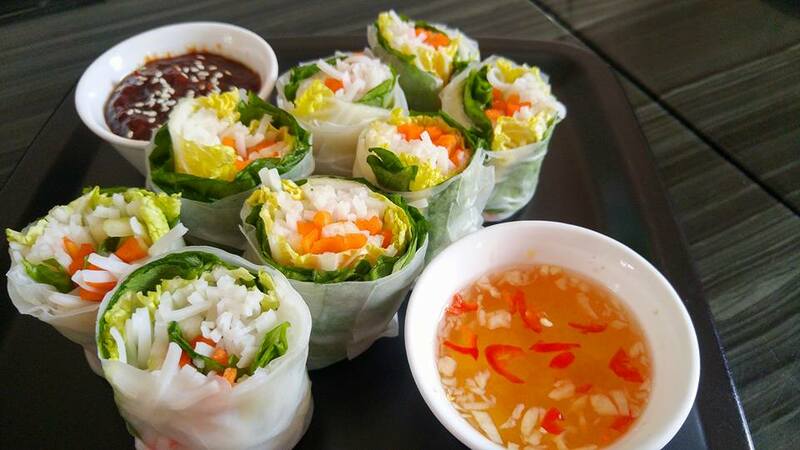 Vegetable rolls that are so irresistible not to taste because of the sauce it comes with. Seeing this made me so excited so I took the opportunity to ask him for an interview because he obviously has a growing network of followers, including me. Full Name, and how would you want to be called if other than your name. ALFIE BLANCO CARINO. I prefer to be called Fiel. FIEL’s own mantra: “What comes easy won’t last, what lasts won’t come easy.” He has this calligraphy by his bed’s headboard to be reminded of it day and night. How long has it been since you started your business? I officially started the business last October 29, 2016. What inspired you to come up with this name, Cooking with FIELings? It’s so catchy! I remember I was sitting on the couch at work with some of my coworkers. There was this uber talented vocalist, named Christy Clark, who commented about the photos of food I posted. She said that every photo I posted looked delicious and she advised that I should have a cooking show in YouTube. Then gain subscribers and make money out of it but I had to come up with a name. Another woman namely Malyn said “FIELings” and when I heard that, I said the name of my show will be “Cooking with FIELings”. I immediately contacted my friend who is really good at watercolor artwork and asked her to make a logo for me based on the concepts that grew exponentially. Then I thought, as she works on that, I will work on the dishes that could be in my menu. What could you consider as your greatest achievement so far in that span of time? I haven’t attained my greatest achievement which is to build my dream but I’m happy to see my business growing through the people I’ve served. For now, having the trust of the people is already an achievement because it is hard to get that in this kind of business. If you don’t have their trust, they might not buy your food again. What is your greatest ambition or ultimate dream for this business? My greatest ambition is to have a restaurant/s in the Philippines or in Hong Kong with the most hardworking and accommodating employees who know the meaning of quality customer service. I dream for that restaurant to be known not only because of the food but also through its employees who will never stop smiling at the customers. Every time I go to other places like restaurants and business centers, there is always a missing piece in the service they give and I feel like it is the smile. Smiling sounds not so easy to do for others but if you do it real and sincerely, it can make the service extra special. Hopefully, this will be the reason for people to support my future restaurant all the way and that it would be the restaurant that will always be filled with joy and all that kind of good feelings since they are in my restaurant- FIELings. There’s no doubt that Fiel’s creativity is indeed promising. His inclination to arts feeds his ideas. 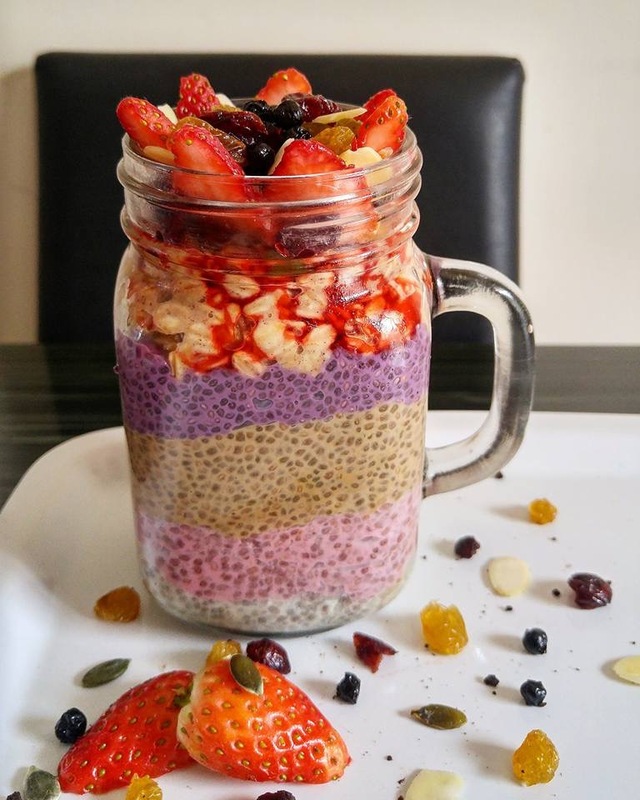 On top of loving colours, writing poems and singing, Fiel keeps himself updated with latest trends in cooking by watching reality cooking shows and pays attention to plating. In addition to his commitment to serving only the freshest ingredients and packaging at its best , he sees to it that his food is also a show of how perky and fun he is. “Follow a recipe but tweak something, explore, be imaginative and make it your own,” says the lad. Fiel is indeed meticulous in his plating. And if you’d be taking a glance at his irresistible foods through his photos, it reflects his sense of style, striking tidiness and precise form. I see this as a metaphor. 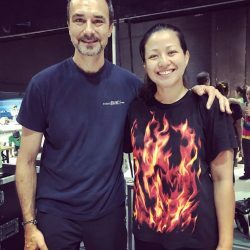 As you noticed, he loves food but what he fell in love most about it was the skill that he developed each time he prepares a viand according to what he learns visually. As a self-admitted visual learner, he progressed from the usual dish washer among family members to somebody who caters to co-workers catering demands. He never realized his potential until he focused on infusing himself to his creative plating. 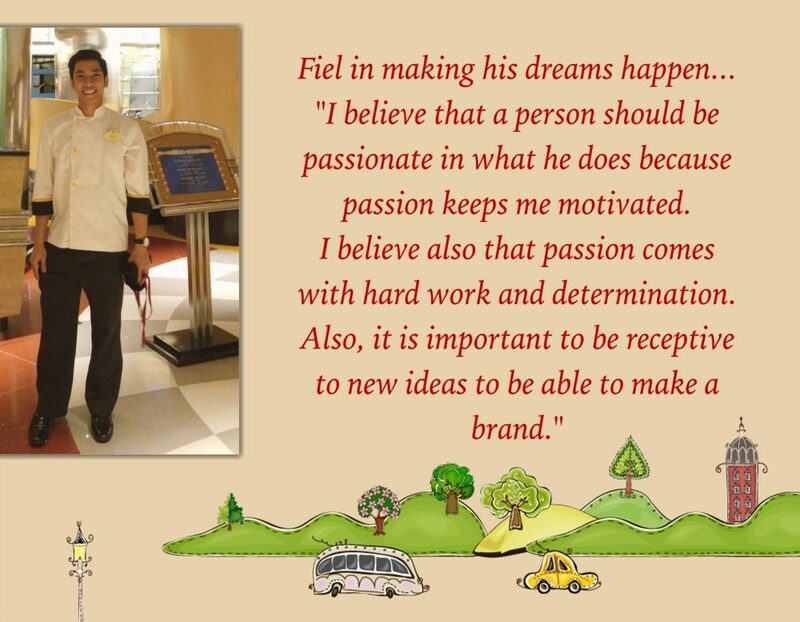 In inspiring arising foodie entrepreneurs out there, Fiel is one of the most humble people I’ve met. 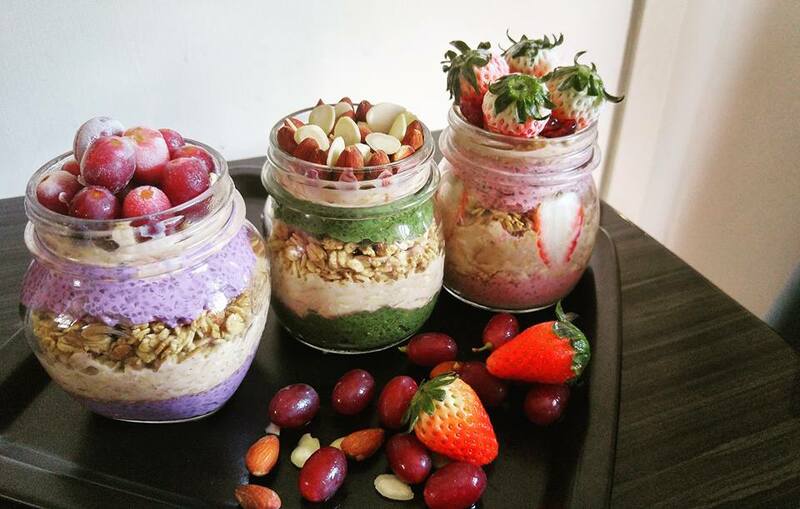 He consistently asks for feedback for the food he prepares and sells so that he can improve its presentation. He pursues his dreams head on by believing in it first and by respecting his customers’ demands and comments. He is confident with his food and his intention in sharing his creativity out there exudes the FIELings he possesses as a person. Positivity, life, and most of all love. 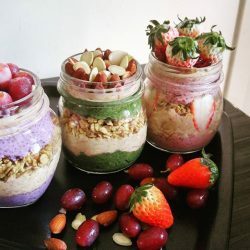 In addition, my personal note on this is that, it’s also a good enticing breakfast for your kiddos who says no to the dull oatmeal and cereal breakfast. Involve your kiddos in embracing a good healthy lifestyle by introducing good eating habits to them. 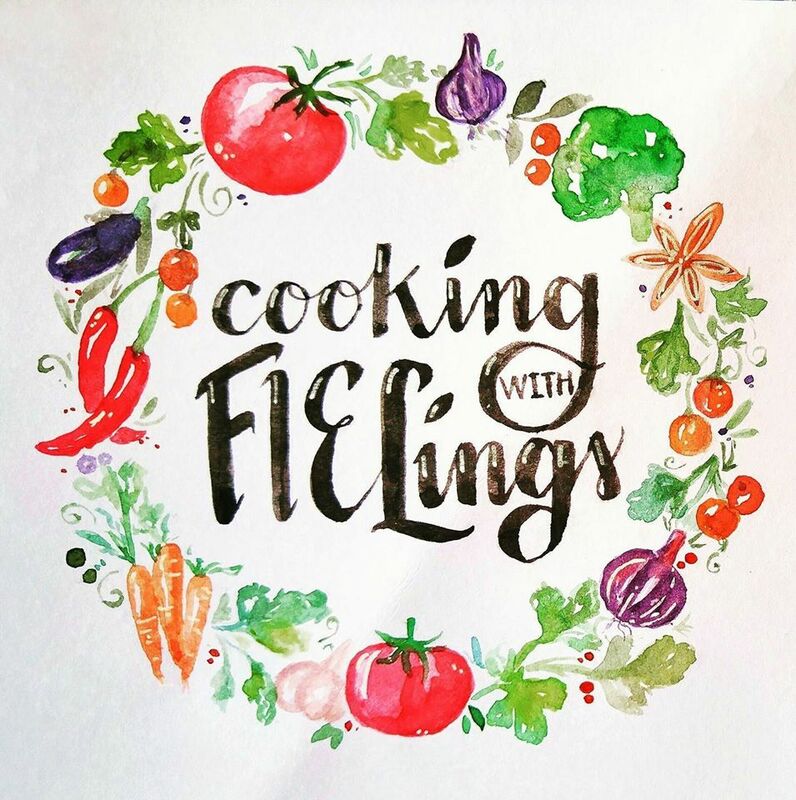 Follow him on Facebook by searching on Cooking with Feelings and in Instagram with cookingwith.fiel.ings username or just type #cookingwithfielings. If you follow this logo, you’re in the right track! WAHTIKI Island Lounge – Seabird House, Lan Kwai Fong, Central launches a Polynesian Tiki bar that houses the delicious cocktail drink called Mai Tai. BUTAO – you could only consider yourself an official foodie once you get hold of this black squid ink Tonkatsu soup from Japan! JOLLIBEE – the fastest growing Filipino fast food in the Philippines and all over the world! This entry was posted in #fabfindfriday, #featureofthemonth, #wineanddinewednesday. I have a deep regard for time. 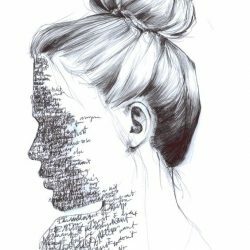 But when I write, it passes so swiftly that I forget it exists. This helped me realise my love for it. After more than a decade of doing so, I expanded on learning from my readers as well. I also love a cup of Joe, a good read and the season of Autumn. 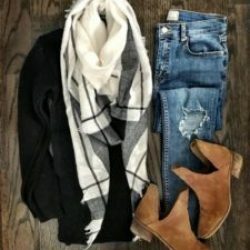 Outfit idea for the week! 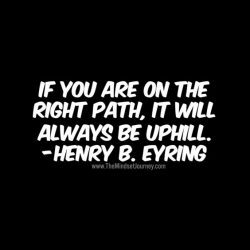 Have a daily dose of something valuable! Spare a minute to answer what I’m currently researching on!